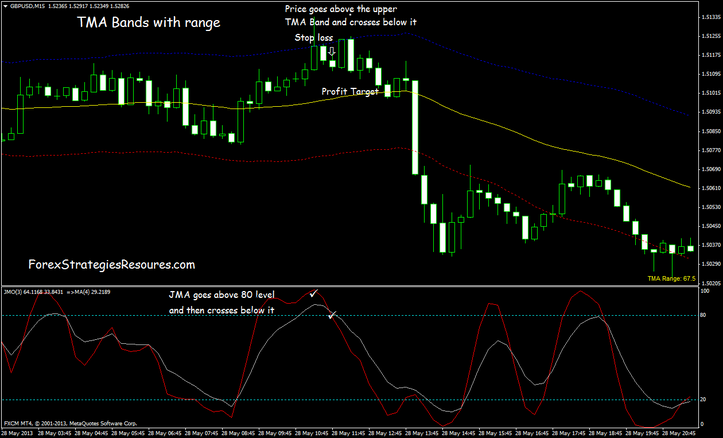 This is a reversal forex strategy based on the indicators:TMA Band and JMA. This forex strategy(TMA Bands with range) can be traded on almost every timeframe available starting from15 minute straight to the Monthly charts. Every currency pair can be used. JMA 5 with (Moving average smoothed 4 period) and (add levels 20 and 80). 1. Price must touch or go below the Lower TMA Band. 2. jma must decline below the 20 level and then cross back up. 3. A bullish candle must close above the Lower TMA Band. 4. When the above conditions are met, place a buy order. 5. After that, set the stop loss just below the most recent Swing low. 6. Set the take profit equal to the stop loss (1:1 risk to reward ratio). we can get the maximum profits from strong trending markets. The chart below shows long trade conditions being met. 1. Price must touch or go below the Upper TMA Band. 2. jma must above the 20 level and then cross back down. 3. A bearish candle must close below the upper TMA Band. 4. When the above conditions are met, place a sell order. 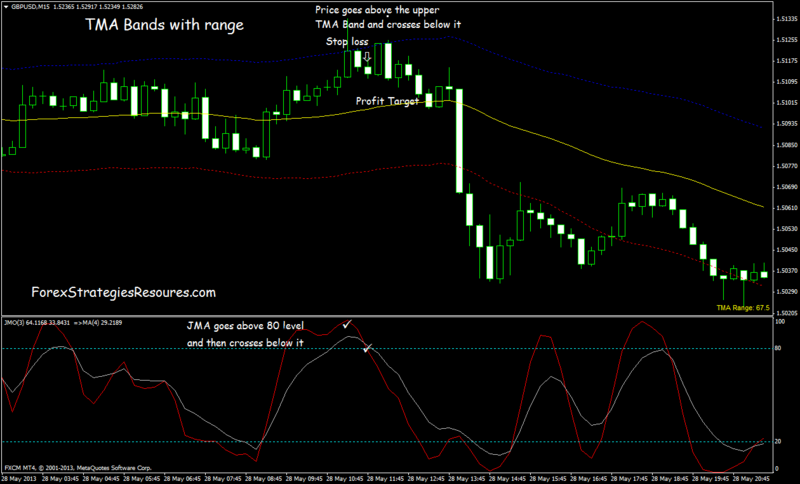 Profit Target 7-12 pips depend by currency pairs. Whe jma crosses in oposite direction. 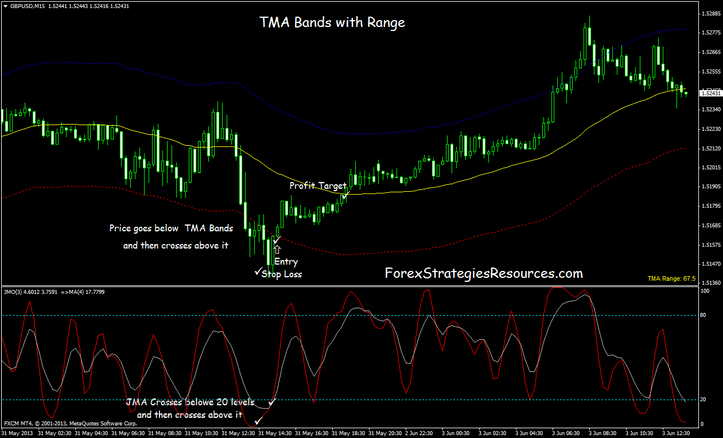 In the picture TMA Band with Range forex system in action.